Projects can be archived when they are completed to keep a history of previous projects, rather than deleting. All the details of an Archived Project like files, discussions etc cannot be accessed unless they are re-activated. The project will be archived and can be found in Archived Projects. How to access archived projects? 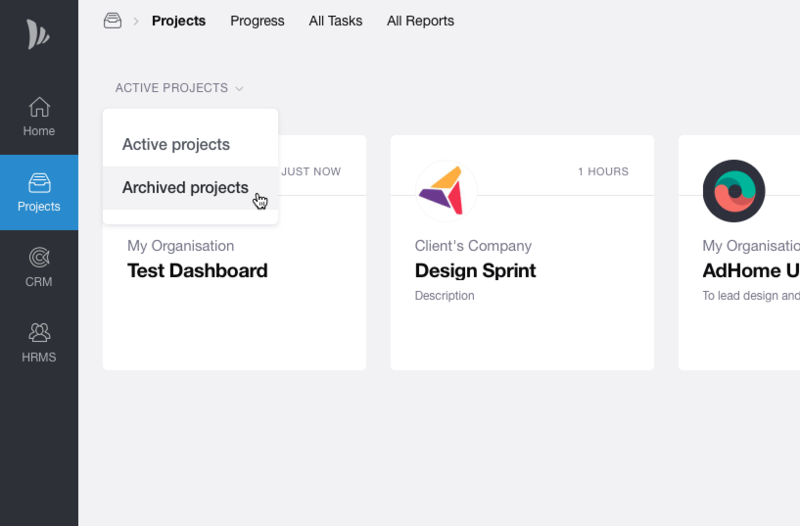 Change the active project filter to archive projects on the top right in projects homepage. 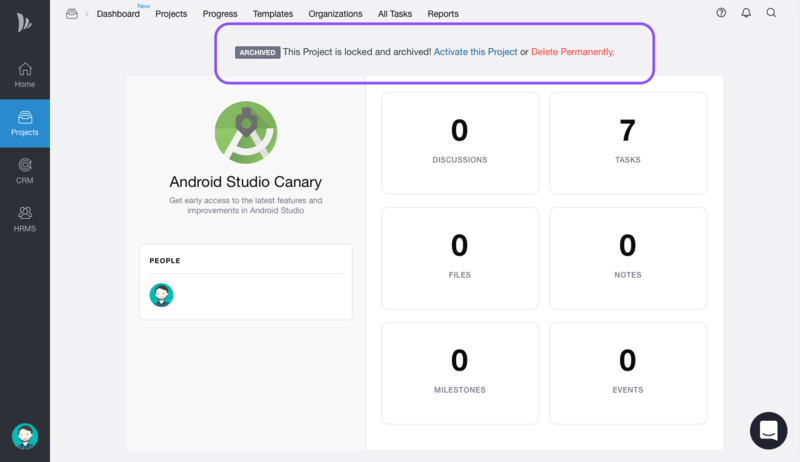 We suggest you to archive projects than deleting them, to keep a track of all the projects and any project once deleted is permanently deleted. TeamWave also offers unlimited storage for users. 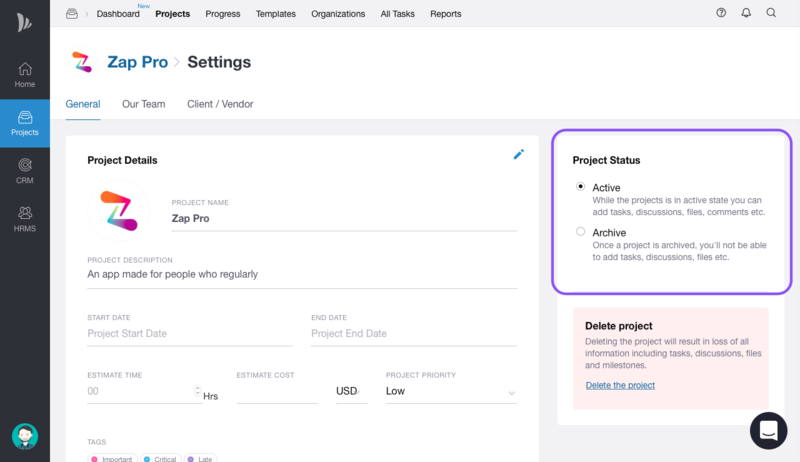 After confirming, the whole project will be deleted and this action cannot be reversed. 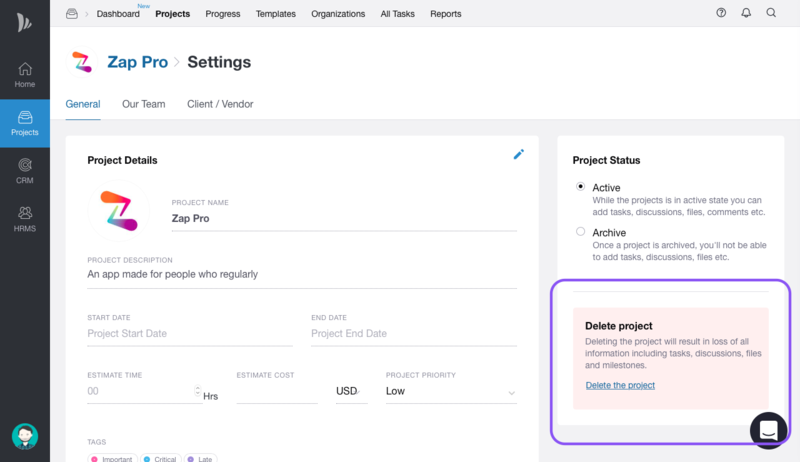 Open the archived project by changing Project filter to Archived Projects in Projects home page, with options available on top in that project, click on Delete Permanently or Activate this project. You need PM Admin privileges to perform any of above actions.